It’s that time of year when we’re all looking to bring a little more green into our daily lives whether it’s because we’re craving seeing things grow again or because we’re thinking about celebrating St. Patrick’s Day soon. 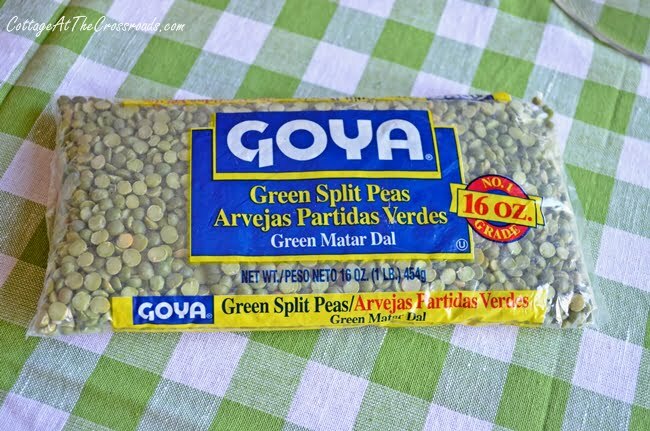 Either way, I have a few tips for adding more green to our tables. 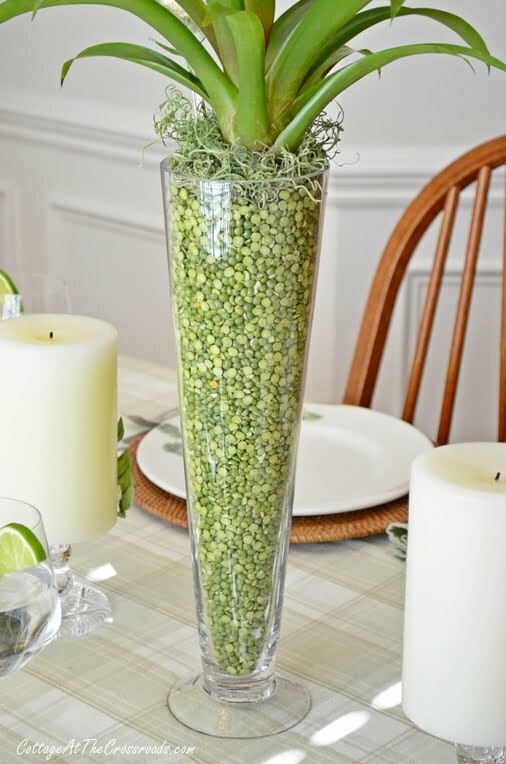 For about a $1, you can create a simple but interesting centerpiece by pouring some split peas into a glass container. They look great by themselves, or you can immerse a candle down into them. Their green color is just perfect for spring decorating. Here’s a centerpiece that my sister-in-law Jean created using the green peas. These photos were taken at her house because she always sets the most beautiful tables. 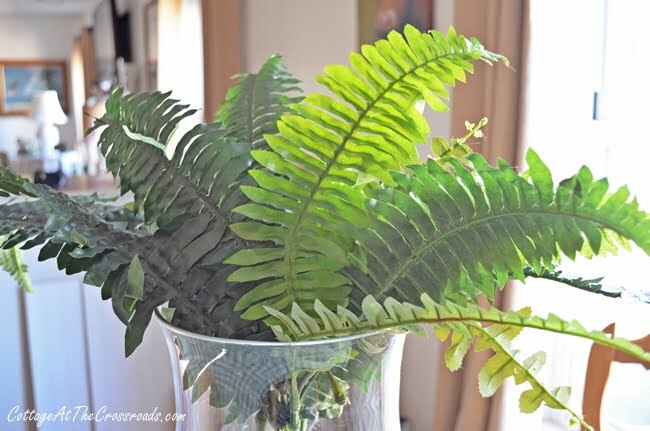 When there isn’t much greenery growing in the yard, I resort to using some artificial fern fronds in spring decorating. This is a bunch that I swiped from my mother’s apartment since I don’t use many artificial plants in our house. 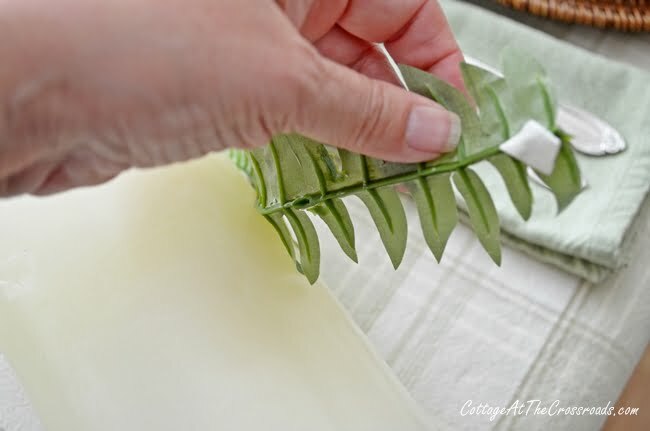 I pull a few of the fronds out of the bunch and adhere them to candles with a few dabs of two-sided tape. 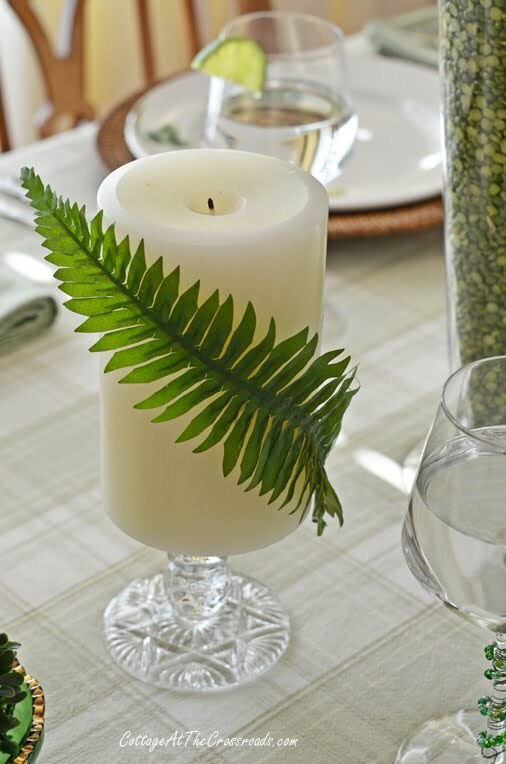 Not only does it add some green color to your tablescape, but it brings a touch of nature to your table. 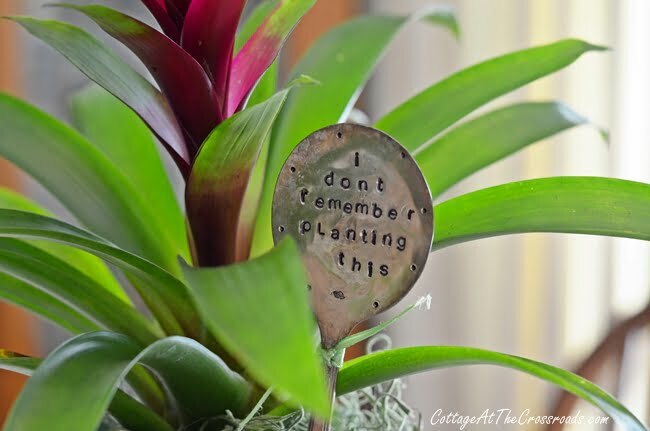 My sister-in-law added a real plant and this cute stamped spoon to the top of her green pea centerpiece to bring even more nature inside. So pretty! 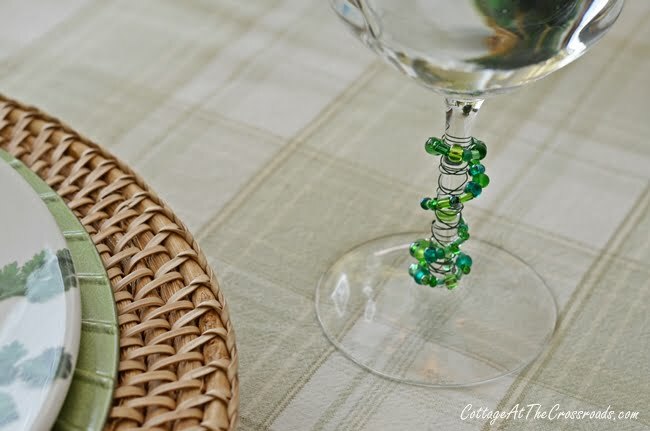 To add some additional green color, use some inexpensive beads on your stemware. First, my SIL wrapped green floral wire around each stem. 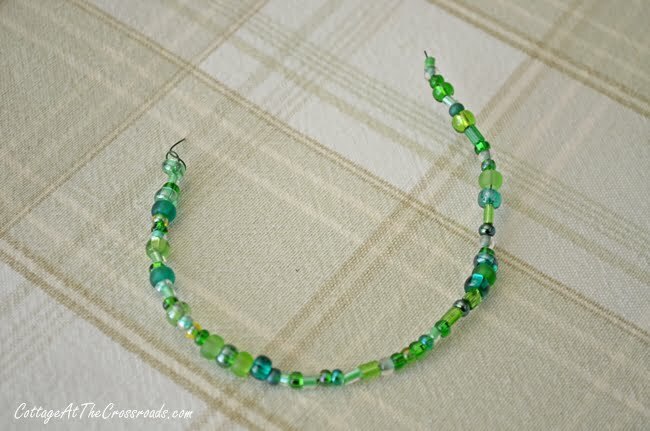 Then she strung some different shades of green beads on more floral wire and then wrapped the stems. That extra touch makes the table look so festive. 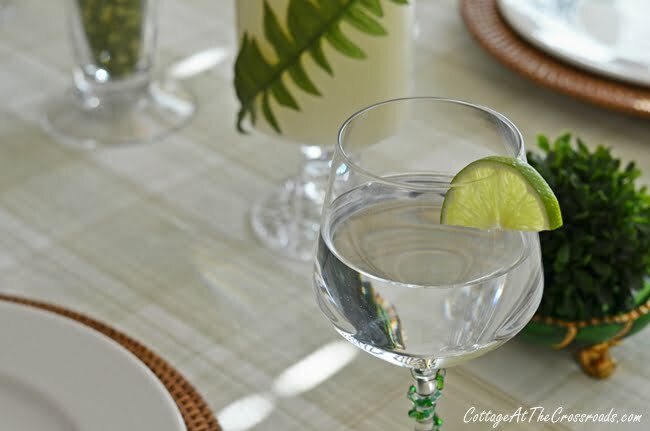 Even glasses of water are elevated to something special and refreshing by adding a lime slice on the edge! So easy! 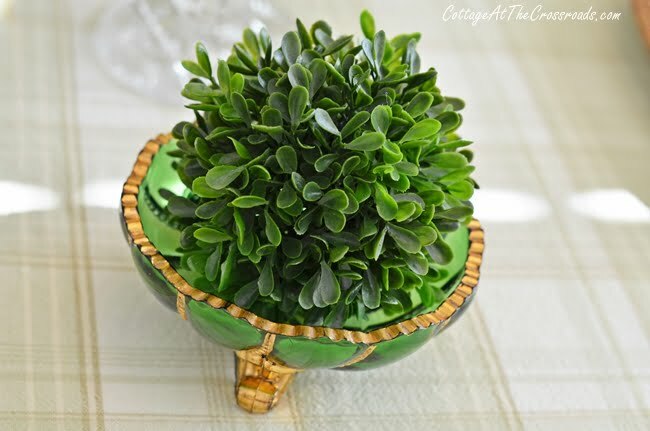 Jean placed two of these antique glass bowls on her table and plopped these little green orbs into them. They can become a great conversation starter because they belonged to her mother. Any dark green glass pieces or green items such as birdhouses would be a lovely addition on a spring table. 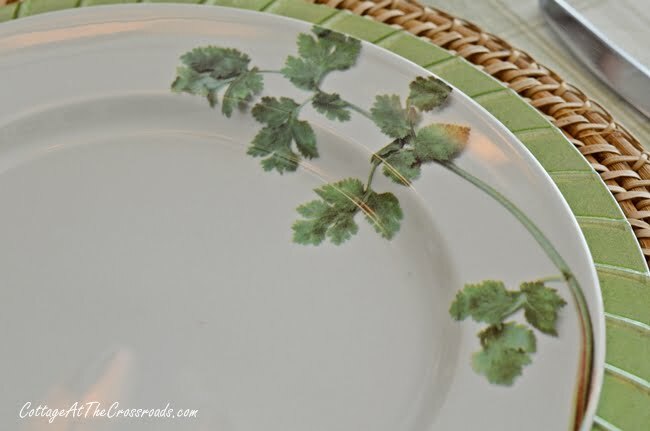 These pretty parsley decorated dishes that Jean just happened to have are perfect for this early spring table and continue the whole nature theme. 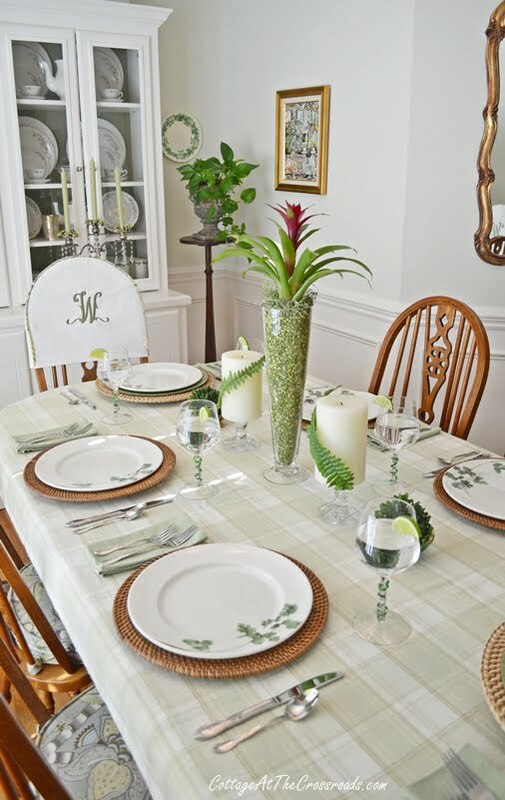 Such a lovely table setting for this time of year when we’re all craving more green in our lives. I hope these simple tips help you celebrate spring’s arrival. Wonderful ideas. 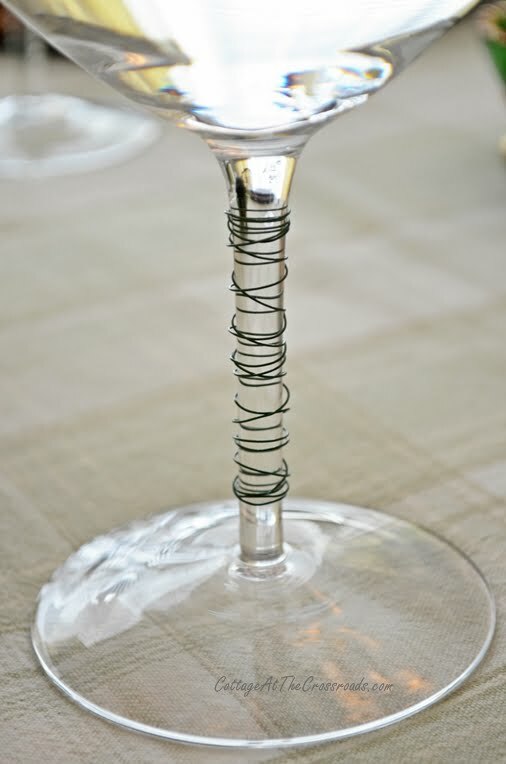 I love the beads wrapped around the wine glass stems. 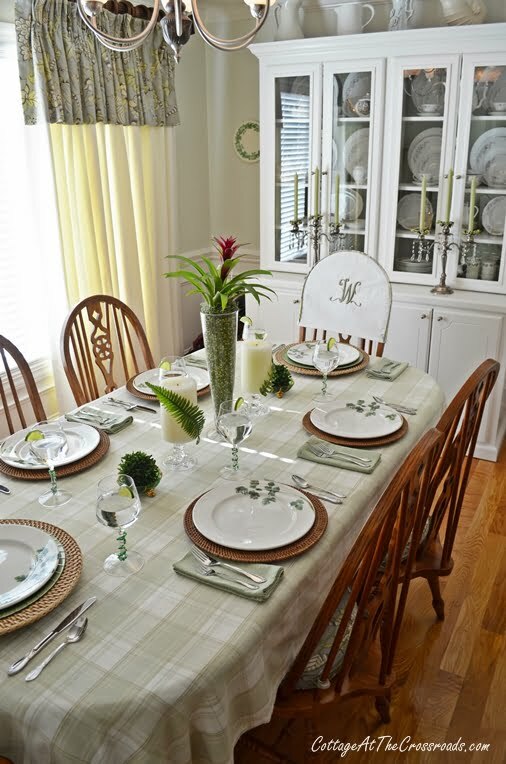 I love green but don’t use it that much on the tabletop except at Christmas and St Patrick’s Day. 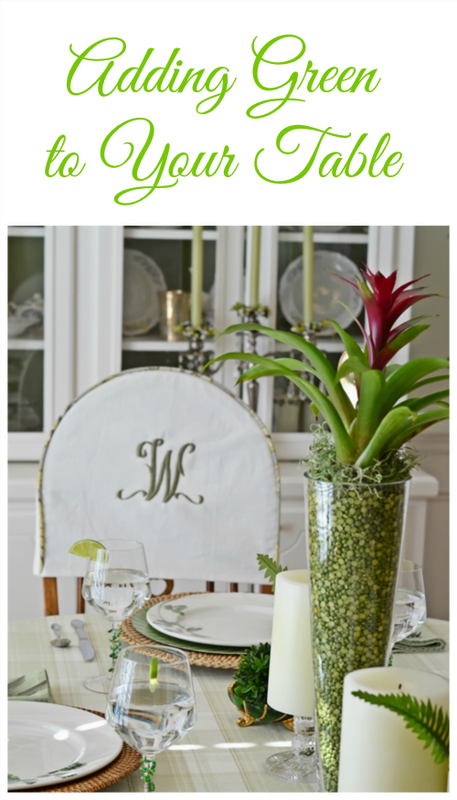 I think I will be doing a spring green table soon. Jane, thanks for sharing green! You and your sister-in-law used some unexpected items and they look beautiful. Great tablescape for Spring! Beautiful centerpiece! Love that vase. Gorgeous table!…lots of great ideas and love the monogrammed chair cover! Love this centerpiece and the stamped spoon. A very pretty table and cute ideas for creating it. I love green and white together.